The last few months have been incredibly busy, and this has meant that even the act of updating my website has been something that has taken a backseat to preparing work for publication deadlines, preparing class plans for the new semester, and preparing grant applications for…well, grant application deadlines. There’s also the small matter of “conference season”, which seems less to be a season and more of a mode of existence. First, to the immediate news: on Sunday, I travel north — way, way, way north — to the Universität Greifswald. There, I’m giving a guest lecture on Monday evening, with the topic being Europäischer Konstitutionalismus und europäische Kolonialisierung in South Australia Colony: Eine Agenda für künftige Forschung. Greifswald is the fourth-oldest university in Germany (founded in 1456), and it is an honour to be asked to lecture there. It is also a very long way from Passau, so I will spend most of Sunday and most of Tuesday as a guest of Deutsche Bahn. I don’t mind this, because I love travelling by train, and it will also be my first time on the Baltic. Once I get back from Greifswald, I have a couple of weeks and then I will be off to Houston for the American Society for Legal History conference, this year held in Houston. I’m fortunate to be presenting alongside some excellent scholars of legal history, and it promises to be another adventure. 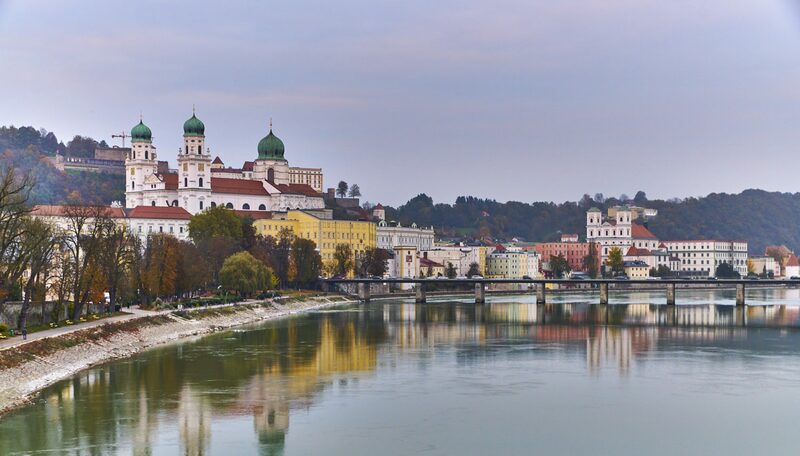 And, in the midst of all this, I am once again teaching at Uni Passau — this time an English course on argumentation, as well as a legal history course on Verfassungs- und Staatstheorie. There are also a couple of publications that will be appearing in the not-so-distant future (at the moment looking like early in the New Year), so watch this space! It’s been a very busy month, and it’s definitely not getting any quieter. However, it is my pleasure to announce that the ERC Advanced Grant project ReConFort (Reconsidering Constitutional Formation) has just published its second volume of research. Combining work by Dr. Marcin Byczyk (Poznań, Passau), Dr. Brecht Deseure (Passau), Dr. Frederik Dhondt (Vrije Universiteit Brussel), Prof. Dr. Eirik Holmøyvik (Bergen), Dr. Giuseppe Mecca (Macerata), Prof. Dr. Thomas Olechowski (Hans Kelsen-Institut), Emer. O. Univ.-Prof. Dr. h.c. Gerald Stourzh (Vienna), and Dr. Anna Tarnowska (Nicolaus Copernicus University of Toruń), and edited by Prof. Dr. Ulrike Müßig (Passau), Reconsidering Constitutional Formation II: Decisive Constitutional Normativity — From Old Liberties to New Precedence (Cham: Springer, 2018) is now available in open access. It has been a pleasure to help put together the volume. The programme for the German History Society annual conference, at the University of Leicester between 13 and 15 September 2018, is now available via the GHS website. There are too many standout sessions and papers to spotlight here, but I am particularly looking forward to Peter Wilson’s keynote about new research approaches to the Thirty Years’ War. Wilson’s work, The Thirty Years War: Europe‘s Tragedy (Cambridge, MA: Harvard University Press, 2011), is, in my opinion, the most complete and impressive history of that conflict, and one of the many reasons why some of my own research is drifting in that direction (watch this space!) Other than this, it will of course be fantastic to see my colleague, mentor, and friend Matthew Fitzpatrick again, and to follow his exciting new work in the understanding of German imperial policy and its relationship to the colonies. Matt’s musings on his research can be followed at his fantastic blog, which I encourage everyone to follow. German history is enjoying a renaissance of sorts, as historians try to move away from the overwhelming focus on the dozen years of National Socialism, and once more begin publishing on the centuries of history that the country and region have experienced. The GHS conference will be a wonderful confluence of minds. If you’re in the general vicinity of Leicester in September, why not come have a gander?